In the ongoing question as to whether Napoleon Bonaparte was a Freemason or not, Blog Maconnique is reporting on an 1805 manuscript for sale that describes a Masonic banquet attended by "Brother Bonaparte". According to Jacques Huyghebaert's translation, a French bookshop " La Librairie des Colporteurs", in Saint-Emilion ( http://www.man.uscr.it ) is currently selling a Masonic Manuscript dated about 1805 which specifically refers to Napoleon Bonaparte being a Freemason for €600. 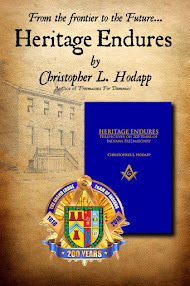 "Complete manuscript fully organizing a Freemason banquet at the very begining of 19th century. The manuscript is softbound with marbled paper and a handwritten label in the middle with "Banquet works" in French. The banquet is a Masonic ritual meal held most often during astronomical solstices, each lodge having its own rituals. Thus, one will find in the manuscript a series of health and hymns with air normalized by the French music reference book Clef du caveau (key of the vault), some instructions on the symbolic placement of the brothers and many details on the ceremonies.The names of the utensils are listed on a table which contains common names and their equivalent in Masonic symbolism (for example, bread becomes rough stone). Each page is written on watermarked laid in the fleur-de-lys (pre-Revolution period) with a beautiful writing inside black and red frames; pages are numbered and composed with care. Cover is fragile, some pin size holes through the pages, good overall condition. The manuscript, referring to f. -. Bonaparte and the first victory of the French consul must be dated around 1805, when the FreeMasonry is reborn at the end of the Terror and at the time Napoleon Bonaparte proposed an alliance with the Grand Orient of France. 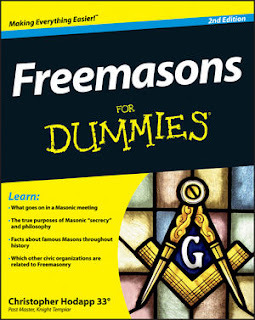 Many dignitaries of the imperial regime were also Freemasons." 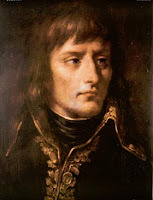 I'm glad to finally see some evidence of Napoleon's Masonic link. Very cool! Thank you, Jacques. I appreciate the information. Pyramids Closed To Stop "Masonic Concert"